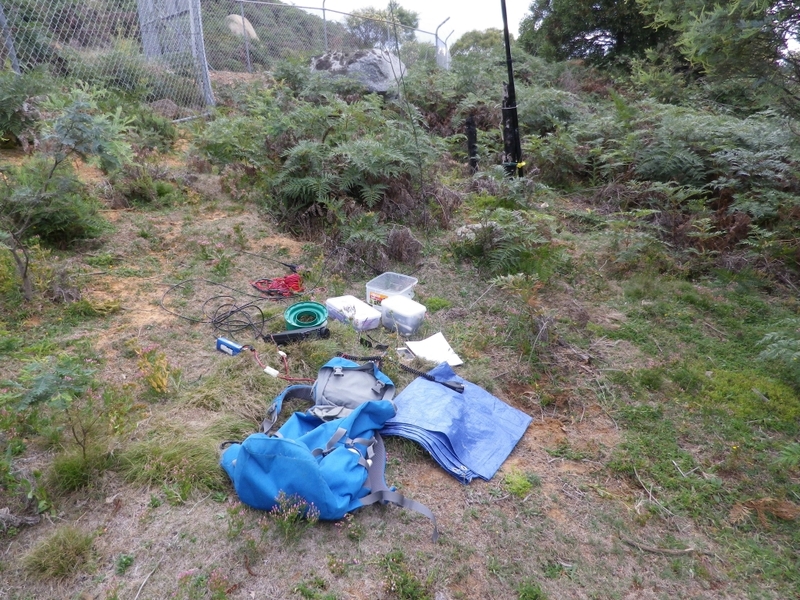 After the diamond quad experiment at Spring hill for the 10m contest and the 6&10 challenge, I planned a series of minor activations that were intended mainly to just add another summit to my activation list on 6&10m. 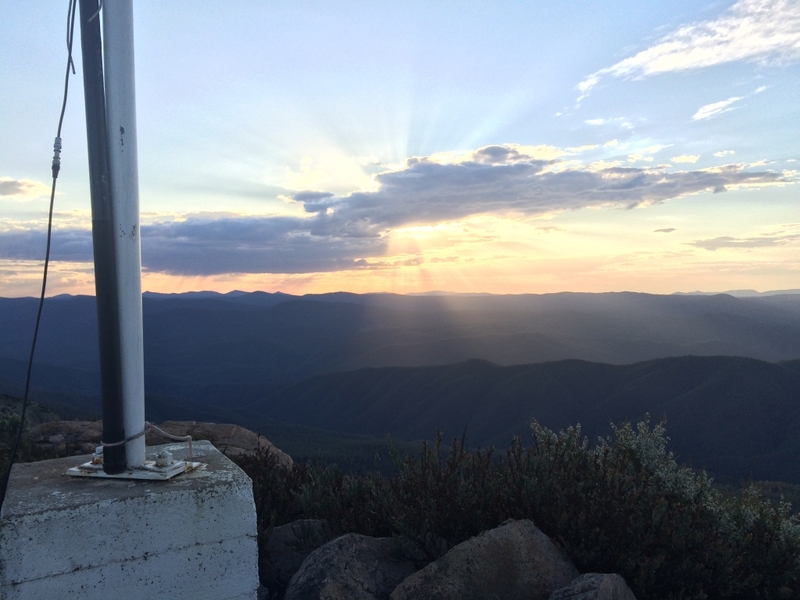 So an activation of Goorooyaroo, east of Canberra, followed on 15th December. 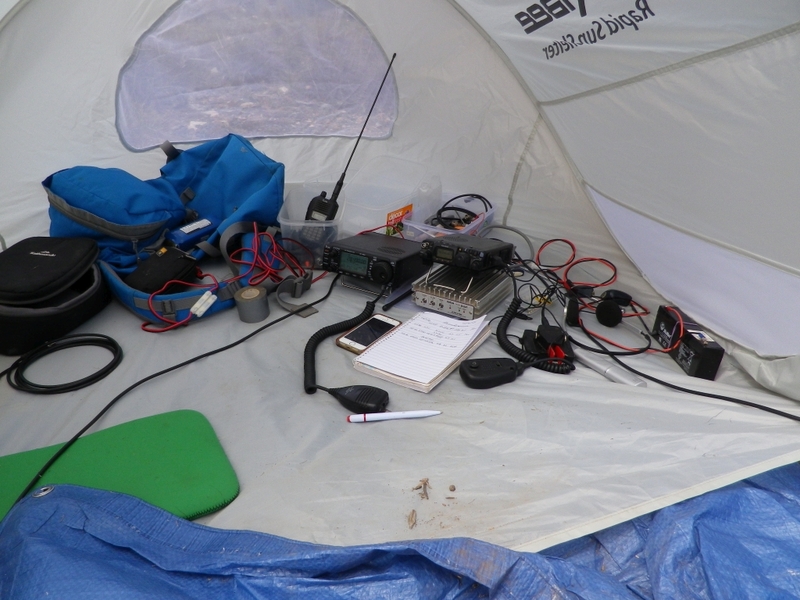 It was a joint activation with Adan VK1FJAW and we used 10m to obtain one new unique worked station, plus some contacts on 6m. During this activation the coax plug on the feedline for the 6m antenna disintegrated and I had to restore the connection temporarily using a BNC-binding post adaptor, which I had in my parts box, along with pliers, connectors and kitchen sinks. The failed connector was replaced by this concoction of adaptors. 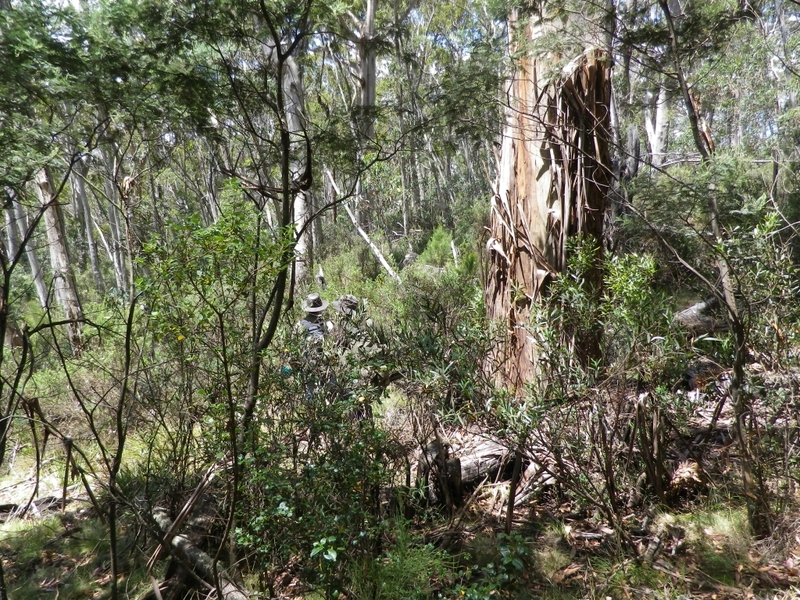 There was a gap of several weeks until the end of December, when Adan and I made the trek to Mt Gingera, VK1/AC-002. 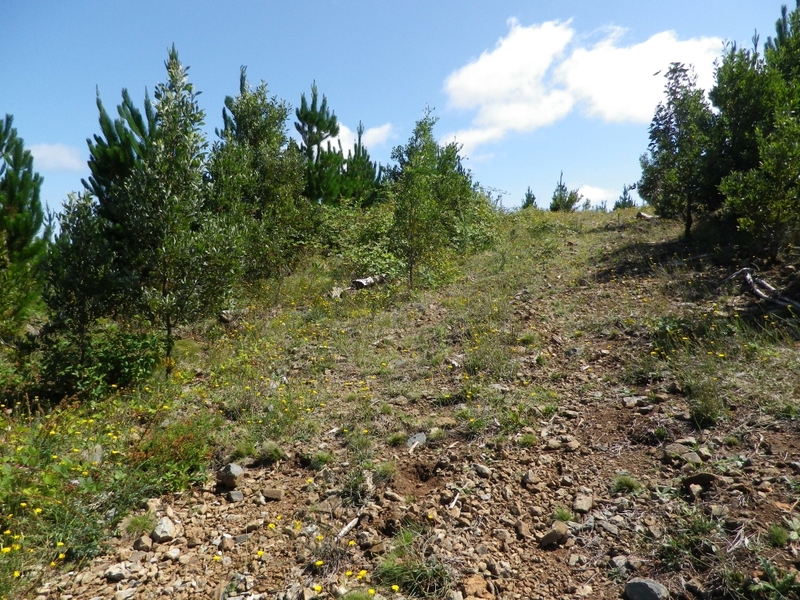 We parked at the base of Mt Ginini and then rode our bikes 6 km to the final ascent point to Mt Gingera. The long uphill trudge between the car park and the hill just before Prior’s hut was the main challenge of this trip. I rode the bike for part of this. 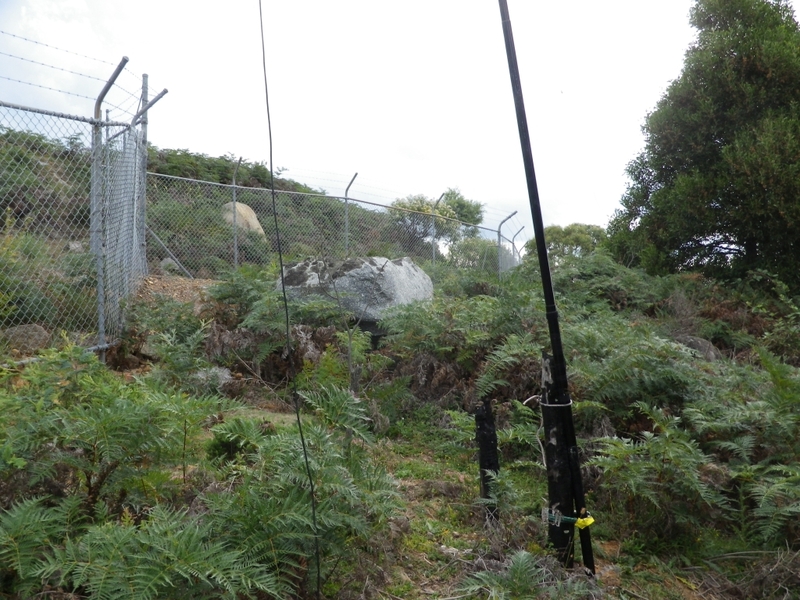 At the summit we decided to operate from a grassy area just to the north of the trig point. 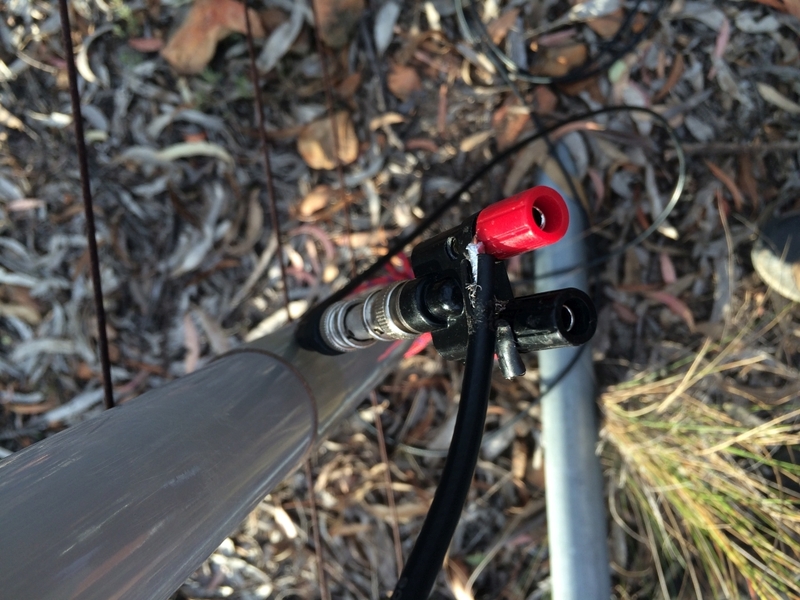 Adan set up his 10m antenna and made a few new uniques on that band, and I attempted to work Chris VK2DO at Batemans Bay on 2m and 6m, without success. Having no phone coverage meant I had to count on others to spot me. Chris was looking out for spots on sotawatch and seeing none, assumed we were not yet onsite. 6m gave me a few vk1 contacts but was not open to more distant points so was quite disappointing. 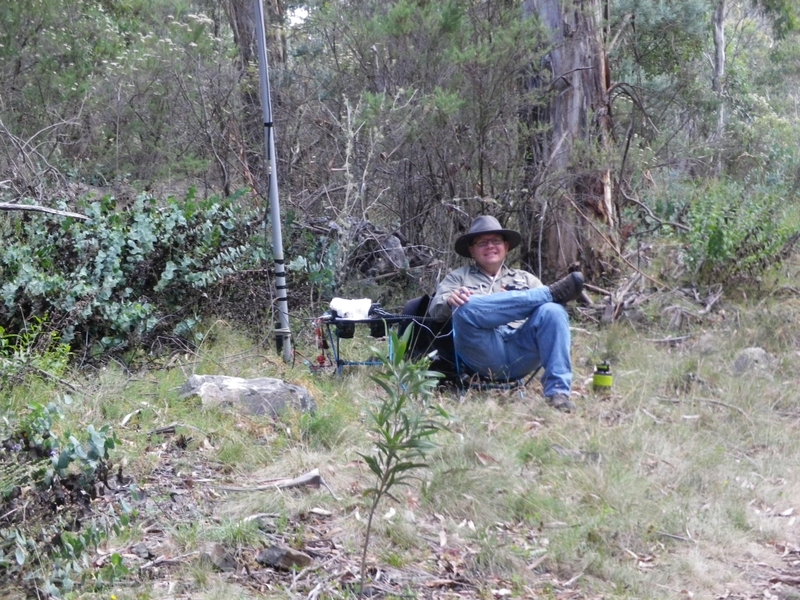 A contact on 2m with John VK2YW at Wagga gave me some hopes of working him on 6m, but while I could hear him he could not hear my signal at all. I had taken the IC706 in the hope that having more power would help with contacts. 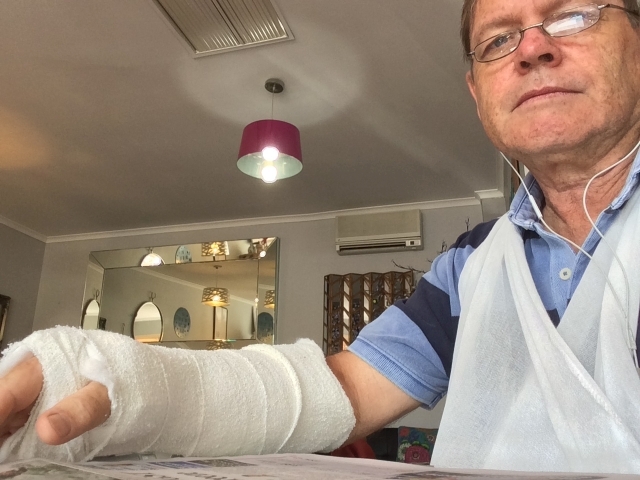 After a couple of hours in the hot sun, and it was over 30C that day, I was finding it hard to keep any enthusiasm for doing any more of the same. Adan felt he had worked all that were available on 10m so was ready to head back to the car. 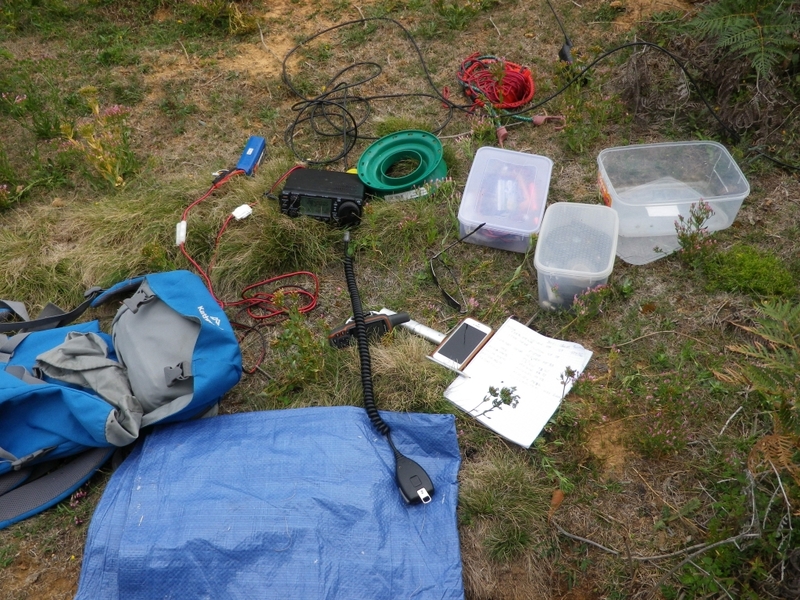 The consolation for the unproductive 6m was that at least we had qualified the summit both before and after 0000 UTC, which meant qualifying it in both 2015 and 2016. 40m was poor that day, with unreliable propagation due to recent solar events. 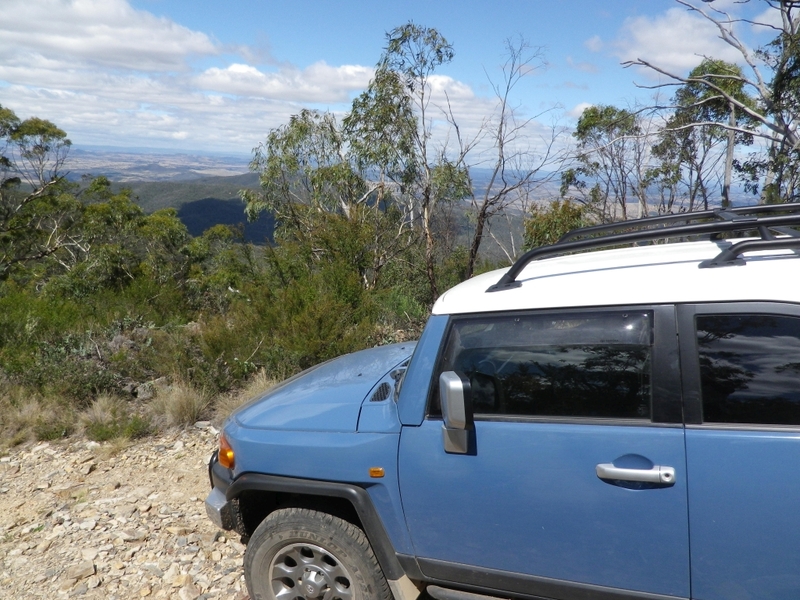 A week later I headed out to the Bondo state forest between Tumut and Brindabella, to activate Mt Tumorrama VK2/SW-027 and a hilltop in the Billapoola state forest, VK2/SW-034. The second activation was made using the ft817 and with the 10m antenna mast held up in my hand. Not ideal, but it was raining and all I wanted to do was make 4 contacts and get out. Fortunately it was possible to work into Canberra on 10m. 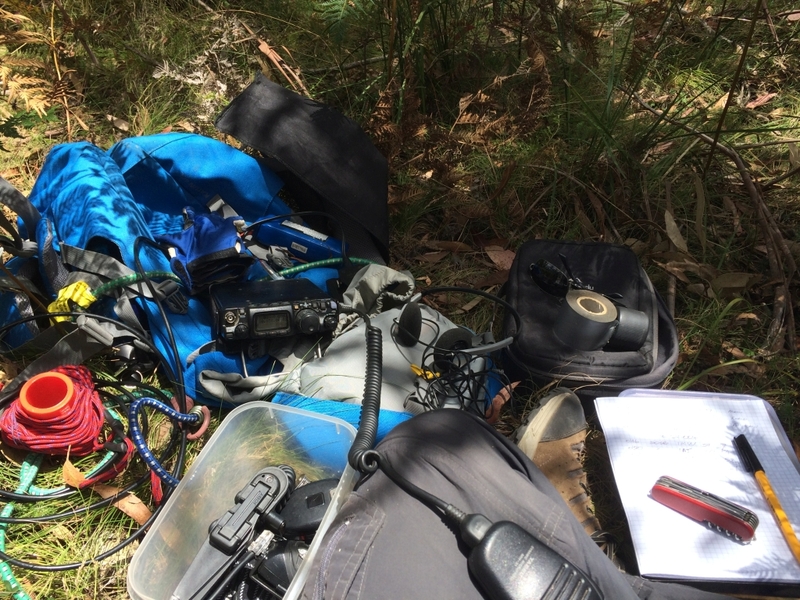 At Mt Mundoonen on 15th Jan gave me some new uniques on 6m and 10m. I used the diamond quad on 10m and the half wave vertical on 6m. I operated from the small sun shelter, and the impression you get in those things is a reduction of about 10 degrees when you are in the shade. They have a good SPF rating. Makes operating outside in summer more comfortable and a lot safer. 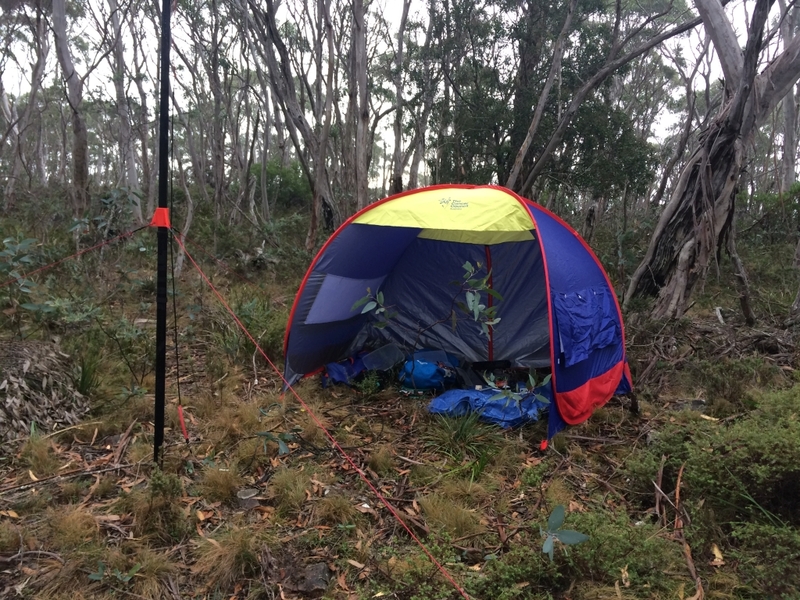 The activation of Mt Coree was with Adan after work one day. It was a calm clear day, visibility was excellent and the sunset was impressive. To add to that there was a 6m opening to VK5 and some 10m contacts into VK4 plus one contact into Indonesia. 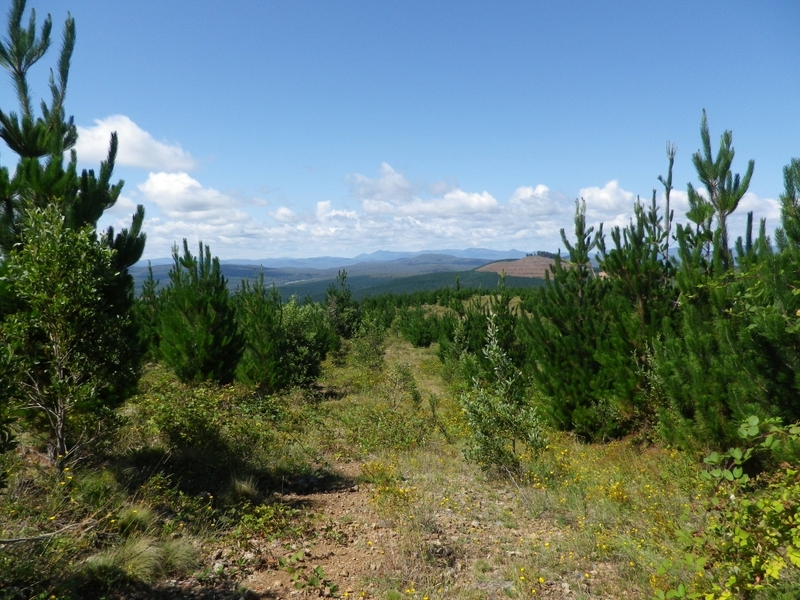 On 22nd January I drove down to Bald Mountain SM059, intending also to activate Big Badja however en route to the second summit the weather turned and I decided not to travel down the forest trail. 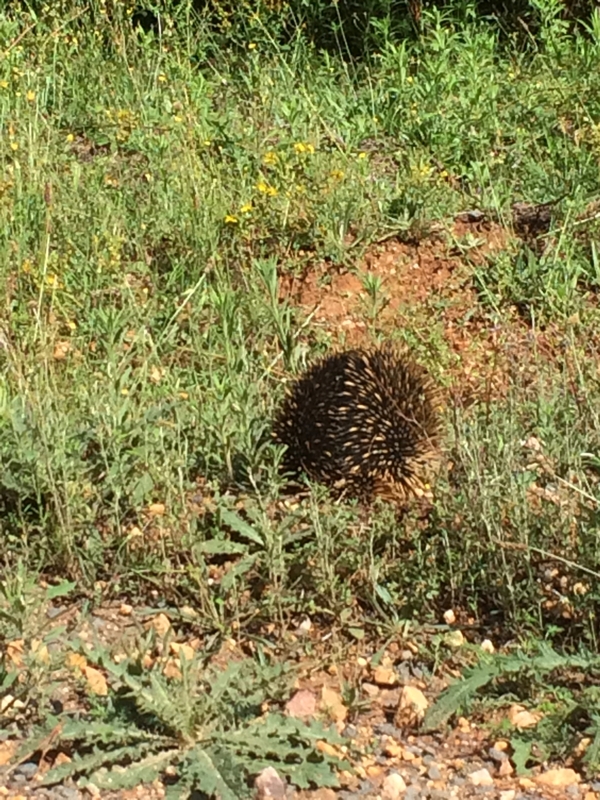 I thought I would go to Mt Cowangerong near Braidwood and decided to head north to do that. On the way a storm blew through, with tropical level rainfall and hailstones, lasting about 30 minutes and giving way to a steady rainfall. Postponing the summit until after lunch I called into the bakery at Braidwood for a coffee, a pastie and an apple pie. Suitably refreshed I drove the car up the main street and found the steering pulling to the left so I knew I had a flat tyre. Pulling into a parking spot 100m north of the bakery, I set about the job of changing the tyre. 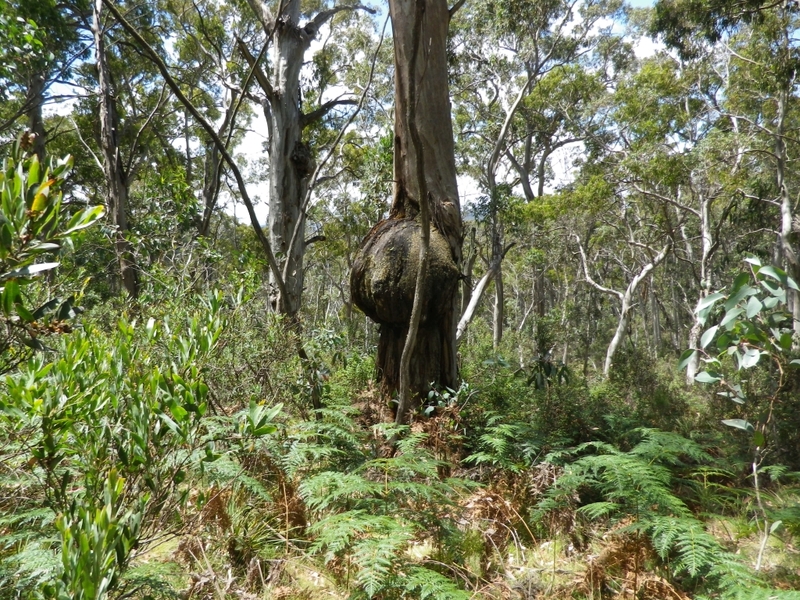 I called off any more forest trips, though no doubt the nail or screw in the tyre was picked up in the street at Braidwood rather than in the forest. Quite a long day for one activation as I got home at about 6pm. 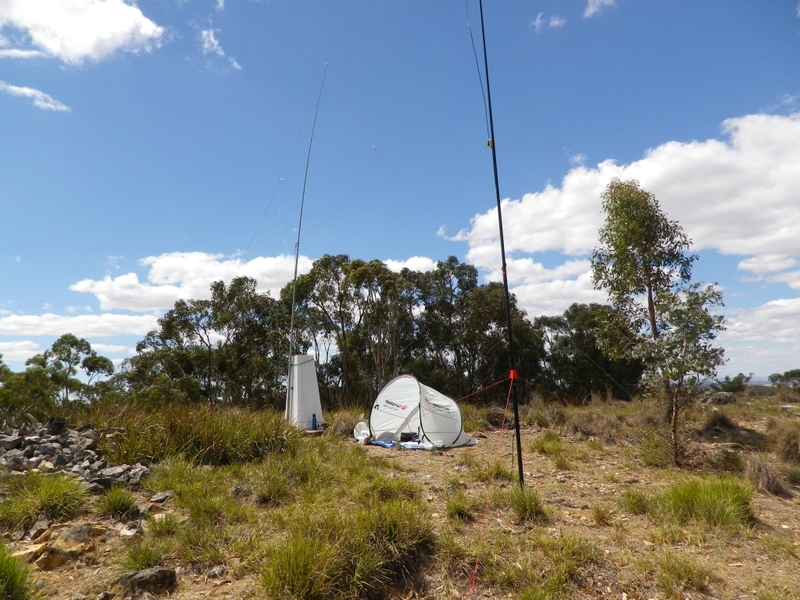 Four days later on 26th January I returned to Yankee Ned Hill VK2/SW-026, making a few contacts on 10m, 6m and 40m. There was no cooperation from 6 or 10m and the only contacts available were with VK1 “locals”. 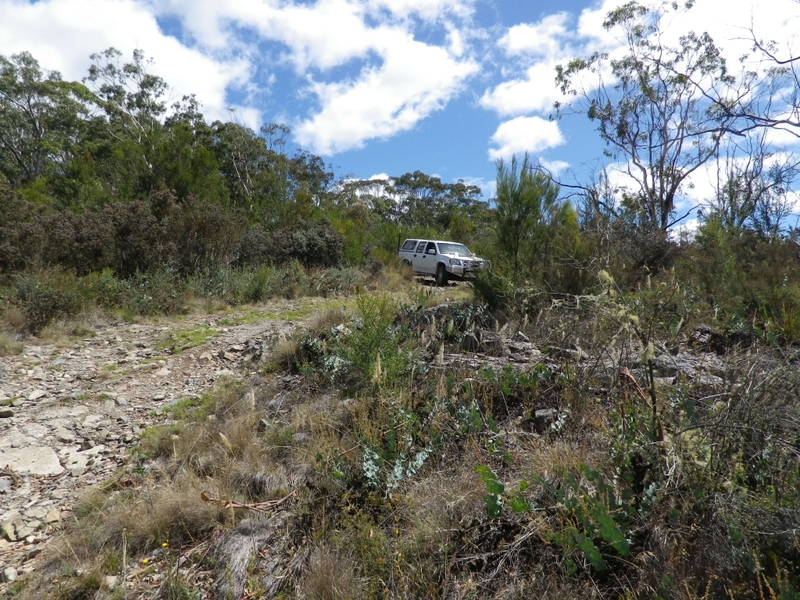 Then I drove east along Brindabella Rd, leaving the sealed section for several km, then heading north east along Nottingham Rd to reach the road junction at the base of Snow Gum Mt VK2/SW-028. 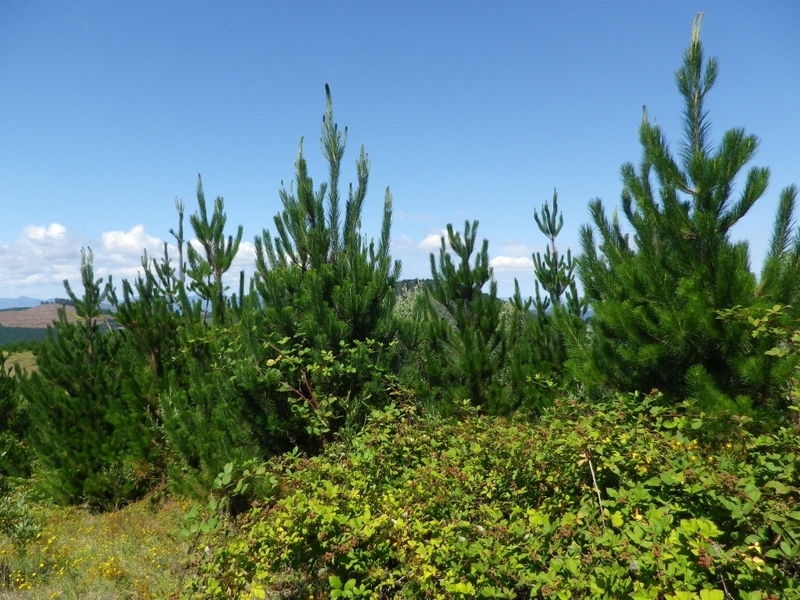 This is a short hill climb on foot, taking me about 20 minutes. 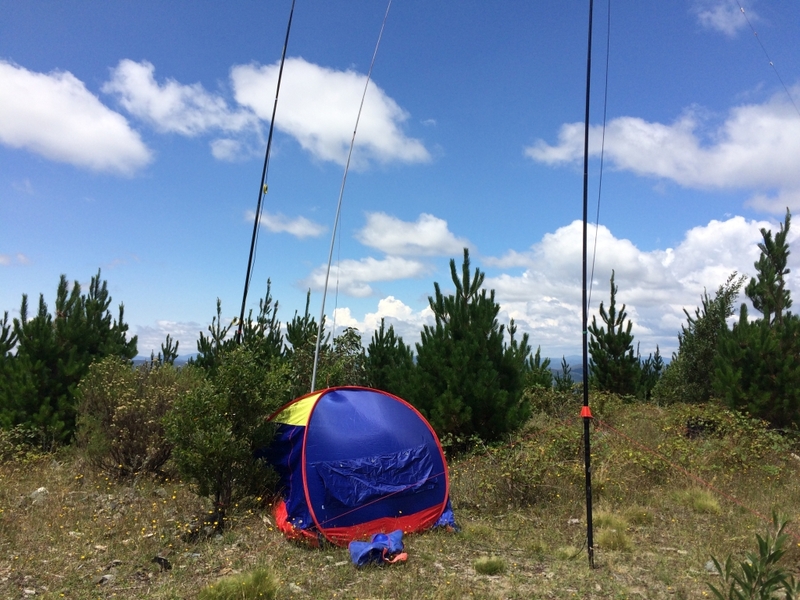 Again some 10m and 40m contacts qualified the summit for general activation points as well as adding it to my 6/10m summit list. 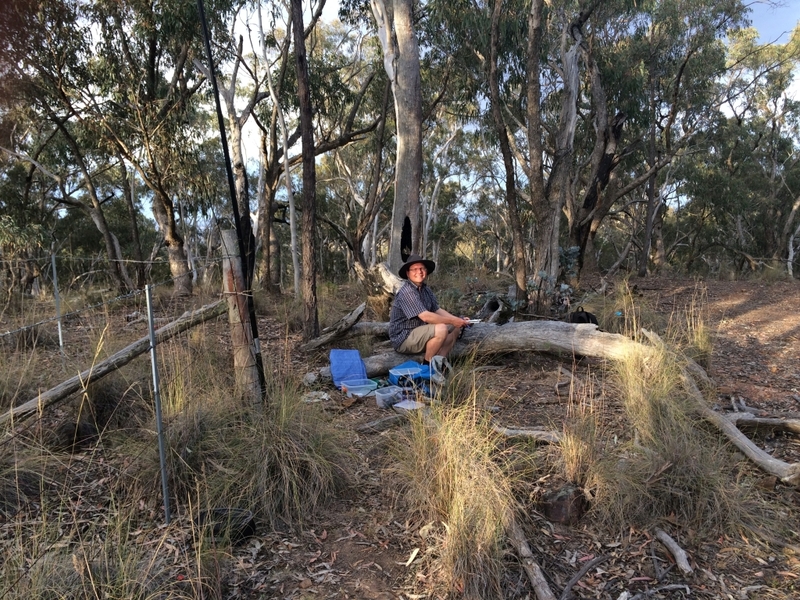 On 28th January I decided that the weather forecast for late afternoon storms was not going to be right, so headed out to Mt Cowangerong to add that to the 10m log. 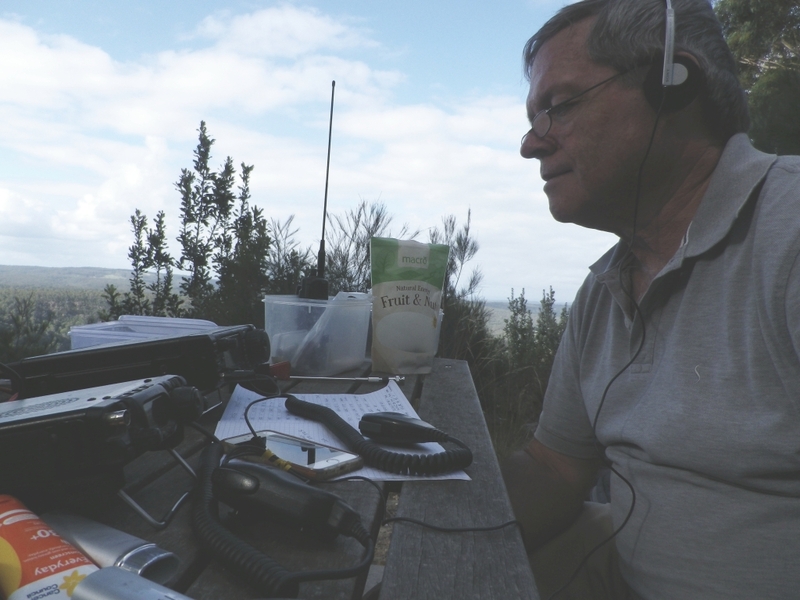 My first contact was with Dale VK1DSH, which was quite promising as he was using a general purpose doublet and his FT817. 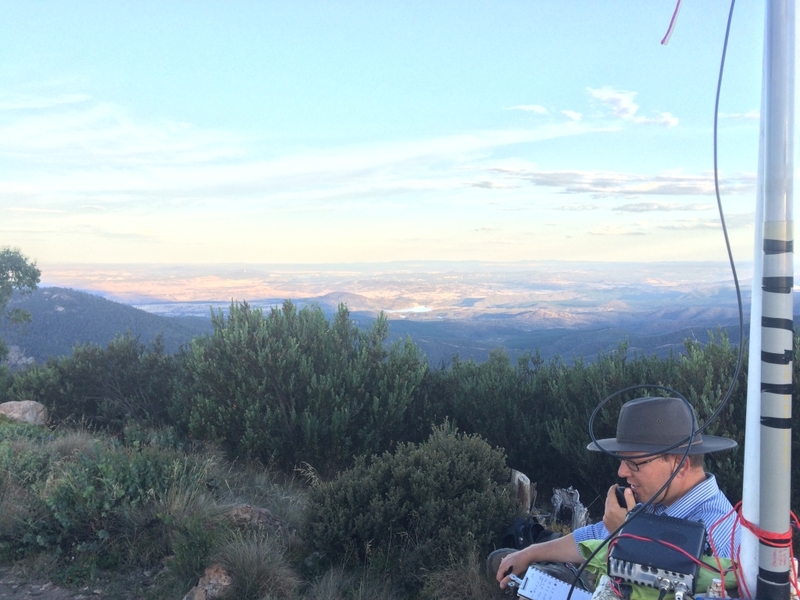 Four other contacts on 10m were made with Canberra operators, but the band was not providing any interstate contacts. The rain I drove through at Captains Flat threatened to resume in more serious form so I packed up without trying 40m. The lightning crashes on 10m were strong enough to be a worry. 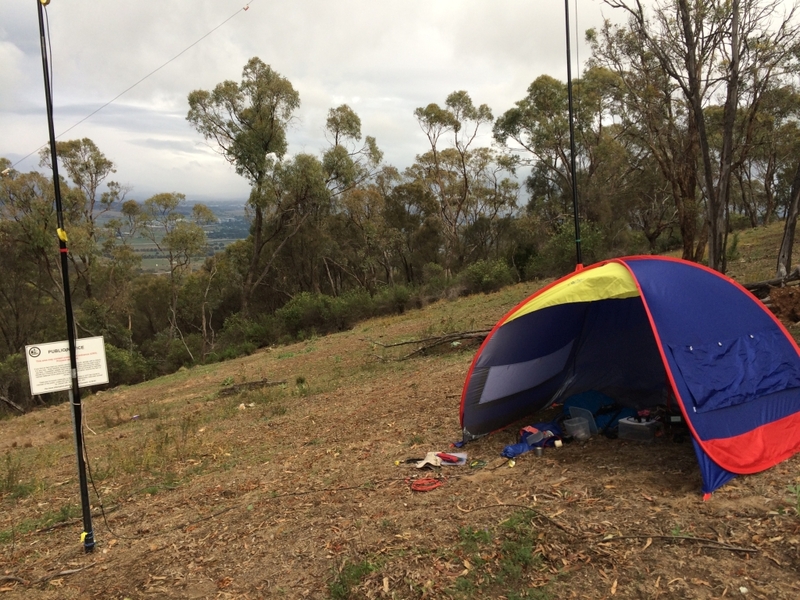 On the second of February I activated Mt Majura VK1/AC-034. 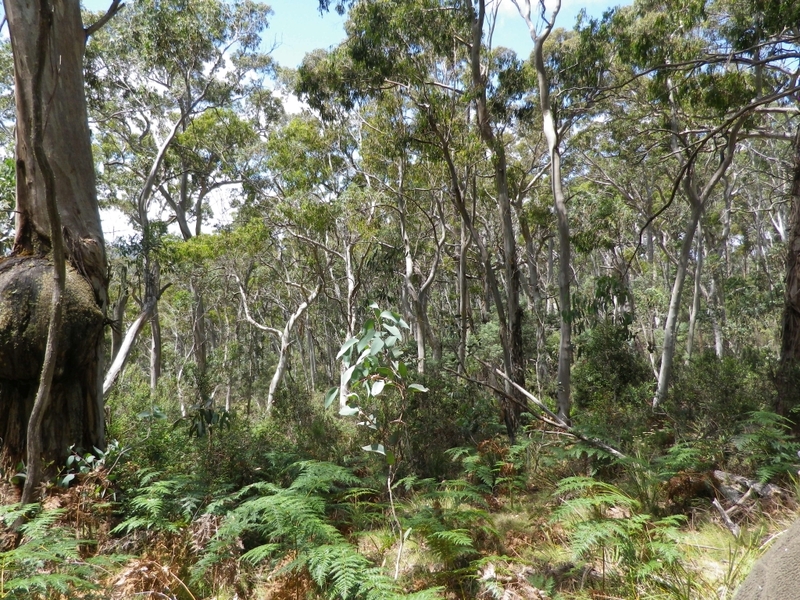 There are two well defined tracks up this one, both departing from its foothills in the suburb of Hackett. I have used the.more northerly of the two, thinking it looked shorter, however it seems to take longer so perhaps it is steeper and slower. Contacts made: a handful of locals on 10m, 12 on 20m CW and 24 on 40m ssb. An after-work activation and was fortunate to make contact into Japan as well as with several local 10m operators, plus several contacts on 20m CW.